There is no better place to go to music production school and set up your business than in Austin Texas. Austin is hands down one of the most active music cities in the US; with one of the highest living standards as well. 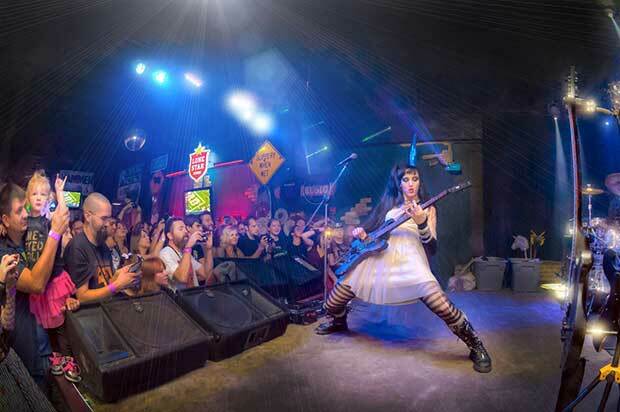 Austin is "The Live Music Capital of the World". Every night over 100 venues stage live music of some kind. This hot-bed of music activity is a prefect setting to begin your career path - and at TRCoA, we'll show you how to connect with Austin's rich base of potential clients. Because we're located in Austin, we have a hands-on advantage. We work with the large pool of talented artists and bands that thrive here. The payoff comes when you feel like a large fish in a small pond - as opposed to LA or New York City, where the pond is substantially larger and populated with much larger fish! By starting in Austin you will be connecting with the endless amounts artists that are also coming to Austin to jump start new and exciting music careers. Along with this vibrant music community also comes some of the most innovative music organizations in the country. The most popular ones are listed below. The SXSW Music & Media Conference has exploded from a local 1976 event into the must-attend music destination for the 21st century. Showcasing nearly 2,000 acts on 80 stages, SXSW allows a first-look at tomorrow's stars. SXSW not only showcases artists, but also the film & interactive genres - plus a growing number of fringe events. It's regularly attended by most major players in the music industry on the lookout for new talent. New media, music showcases & film screenings provide buzz and exposure for creators & compelling entertainment for audiences. Conference panel discussions present a forum for learning. Business activity thrives at the Trade Shows and global networking opportunities abound. Austin serves as the perfect backdrop, where career development flourishes amid the relaxed atmosphere. 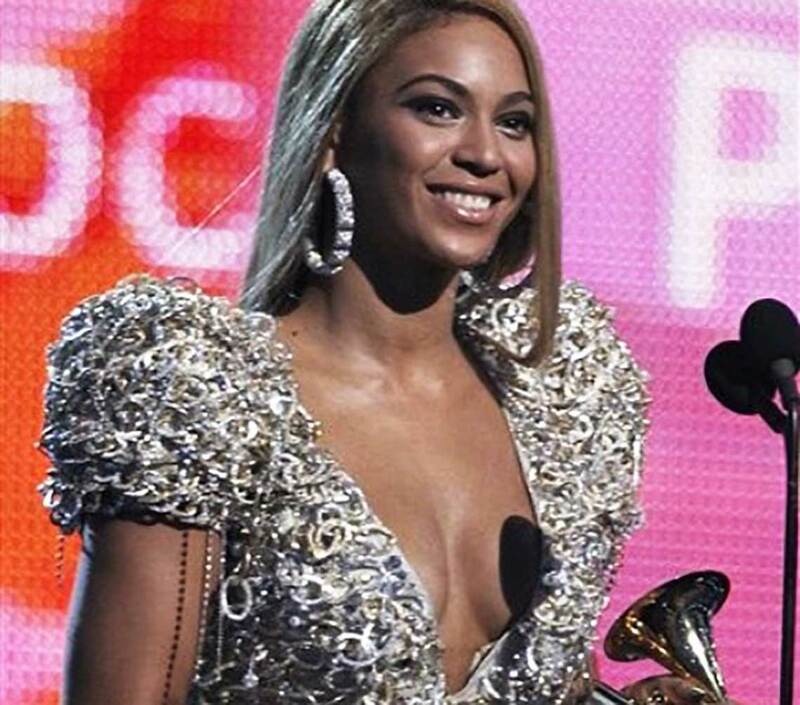 The Texas Chapter of the Recording Academy cultivates the appreciation and advancement of recorded music in America. It also sponsors numerous educational workshops & networking events for its members and the community. The Texas Chapter is dedicated to promoting quality educational programming & networking opportunities to members while serving as a catalyst for uniting the Texas music community. Programs supported by the Texas Chapter benefit all associates of the music industry. The Texas Grammy Chapter offers programs & activities that engage the music industry as well as the general public, and works in partnership with The Recording Academy to bring national attention to important issues such as the impact of music and arts education and the urgency of preserving our rich cultural heritage. Great music. No Limits! Austin City Limits is now the longest-running music series in American TV. 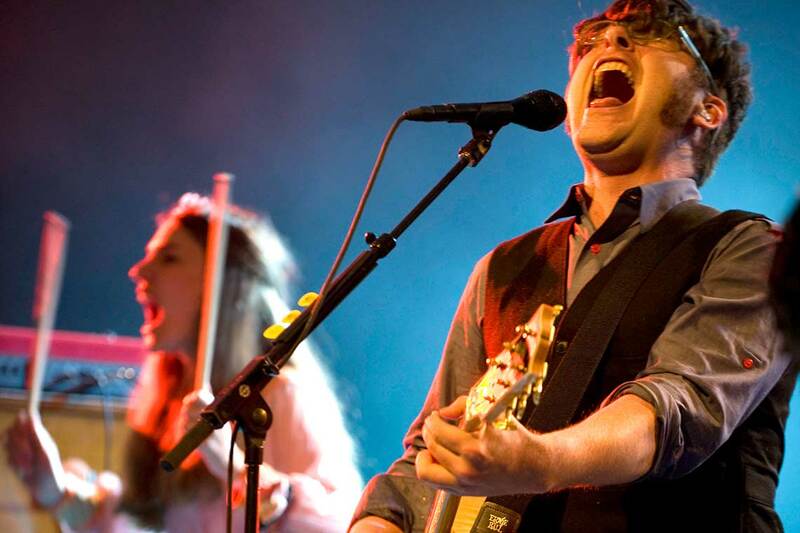 ACL showcases popular music legends and innovators from every genre. In addition to being honored by the Rock & Roll Hall of Fame as a landmark, ACL is the only television program to ever receive the National Medal of Arts, the nation's highest award for artistic excellence. 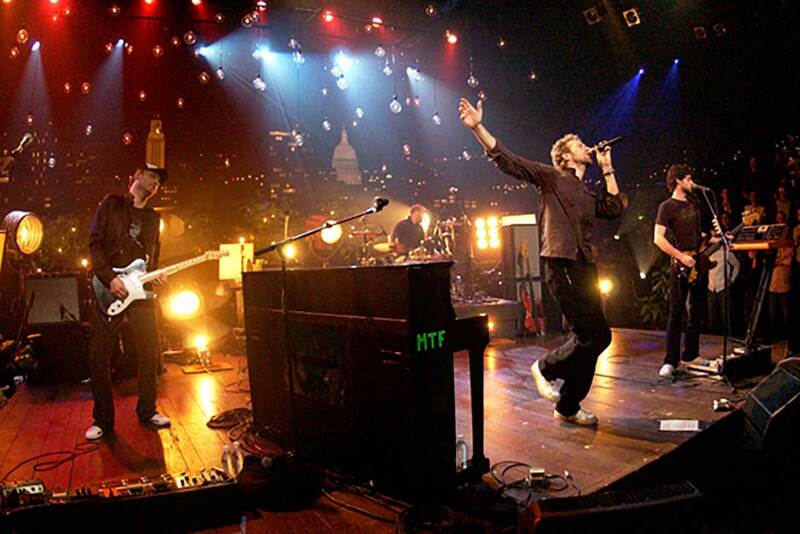 According to the mythology, Austin City Limits is taped on an Austin hillside above the city. In reality, the show is recorded in a KLRU television studio located on the University of Texas campus. The list of timeless artists that have played this stage is endless. 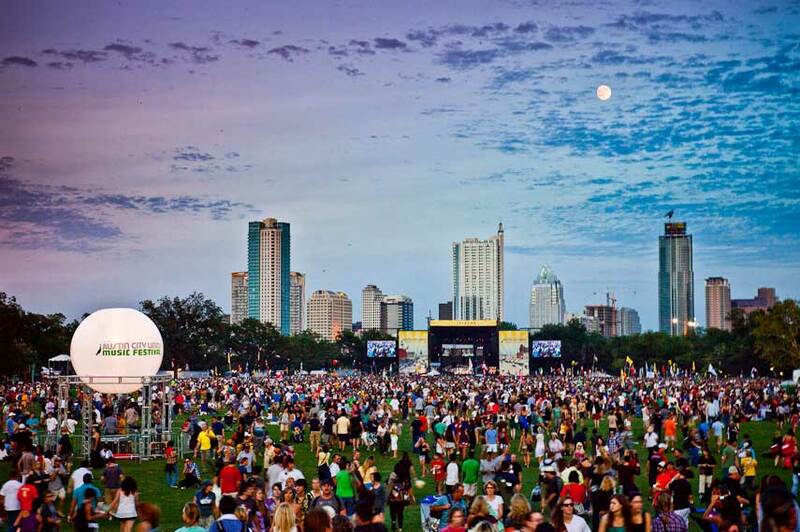 The Austin City Limits Music Festival is an annual three-day music festival in Zilker Park. The Festival features more than 130 bands on 8 stages--including rock, country, folk, indie, Americana, hip-hop, reggae, and bluegrass. Named after the legendary PBS concert series, ACL Fest attracts a crowd of more than 65,000 visitors each day. The festival is located near downtown Austin, where many artists perform after-shows after they play at the festival. In a very short time the Austin City Limits Music Festival has joined Bonnaroo, Lollapalooza, and Coachella as the United States’ premier music festivals. Austin’s rich musical heritage can be traced back to the 1930s when Kenneth Threadgill opened up the first live music venue in Travis county. Austin has always been a very swingin' town. In the 70’s Austin was a hoppin’ hippy hangout for liberals and conservatives alike. Music could be heard blasting out of places like The Armadillo World Headquarters, The Broken Spoke, or Soap Creek Saloon. Austin gained a reputation as a place where struggling musicians could launch their careers in front of receptive audiences. Antone’s opened in 1975, and legend has it that music (and the party) could last until 5am at this happening 6th Street hot spot. Later, in the '90s, Austin earned the title of Live Music Capital of the World, because of it's number of live music venues--a title it holds proudly to this day. Austin’s rich musical heritage grew to be the stuff of legend in a relatively short amount of time. Many see this as a testament to the hard work put in by promoters, bands, artists and local businesses who found success on their own terms by working together and supporting each other’s cause, a rare occurrence in the cut throat world of music. This Austin mentality still continues today, with events, venues, clubs, and hotels in Austin regularly packed with industry insiders and fans eager to soak in some of the bustling, creative atmosphere that epitomizes the Austin lifestyle. Austin has some of Texas’ most beautiful surroundings--where YOU can unwind! Relax in the sunshine or try a round of DiscGolf at Zilker park, swim at Barton Springs, and explore the hike & bike trails. Go boating, waterskiing, fishing or swimming at Lake Travis. 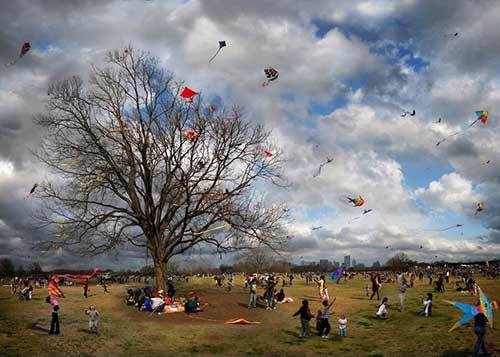 The City boasts 14,300 acres of parks. The hills west of the city include more than 7,566 public acres. With so much diversity, it’s no coincidence that Austin is home to countless artists, bands, record labels, studios, producers, instrument makers, and every other type of music industry professional. What better setting to hone your craft and begin your career than Austin? The Austin Music Foundation is an organization that helps independent artists further their music careers. AMF fuels Austin's creative economy by offering innovative career development programs and music business education. AMF strengthens the local music community with innovative programs that empower musicians and fuel Austin's creative atmosphere; also providing programs to help artists navigate opportunities in the industry. AMF specifically offers education tailored to today's music climate all while unifying local artists and music businesses to foster a sustainable music community. AFM (Austin) is the local chapter of the American Federation of Musicians also know as the Music Union. The Local 433 Austin Chapter was founded in 1907 and has assisted local musicians with wages, working conditions and other issues relating to their employment. AFM are musicians representing and working for musicians with over 500 local members. The Austin Federation of Musicians' primary purpose is to protect the interests of working musicians. AFM also provide benefit programs, such as equipment insurance, geared to the needs of musicians. 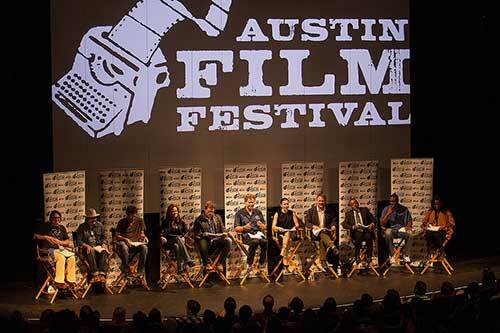 Austin has become an epicenter for film making in the US - hosting the annual Austin Film Festival and the SXSW Film Festival. These festivals draw film makers from all over the world. In 2004, Austin was named first in Movie Maker Magazine's top choices for cities to live and make movies. Austin has also been the location for numerous major motion pictures. To draw future film projects to the area, the Austin Film Society has converted several airplane hangars from the former Mueller Airport into a filmmaking center. Projects that have used these facilities include music videos by The Flaming Lips plus feature films such as Sin City. If you are looking to wiggle your way in to post production for film, you will have no shortage of independent film producers creating new and exciting film productions to connect with.